Last weekend’s Daytona 500 brought to mind Hamilton’s one-time encounter with high-speed auto racing. 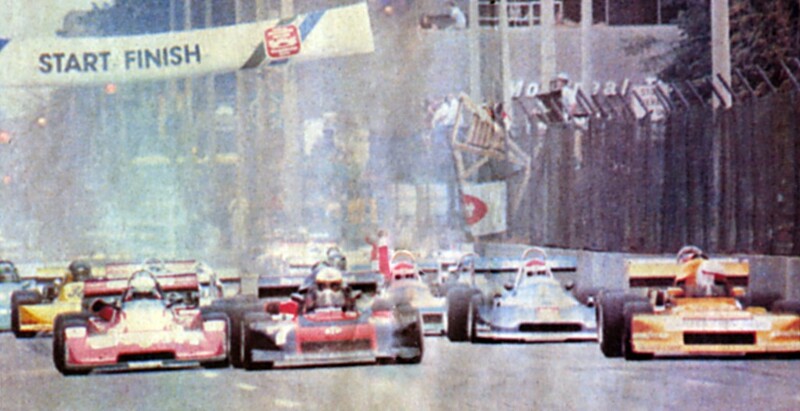 Fans lined the entire route, but the 1978 Formula Atlantic race was an ill-fated event. 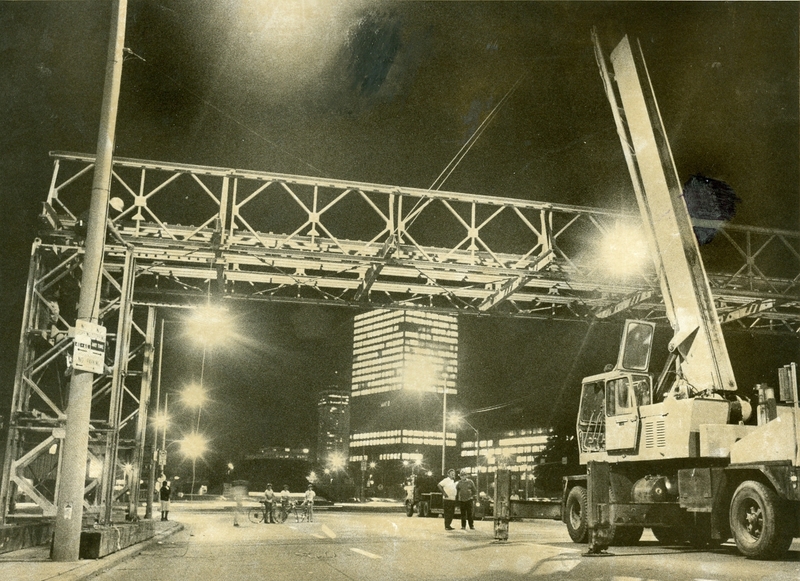 It had financial problems, and the damage from crowds along the circuit was extensive. Watching from the Bay King Motors building. Hamilton Historical Collection. Damage at one of the points along the route. 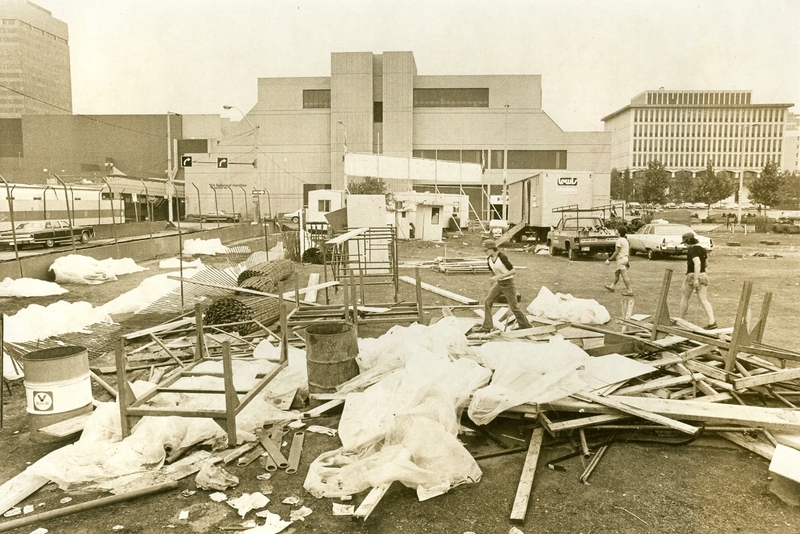 August, 1978. Hamilton Historical Collection. Held in early August, the race ran through Hamilton’s downtown core – Main, King, York, Bay, MacNab and Park. Street racing was in vogue, although very few events were held in North America through city streets. It would be eight years before this mode of racing became successful with the running of the Molson Indy in Toronto. 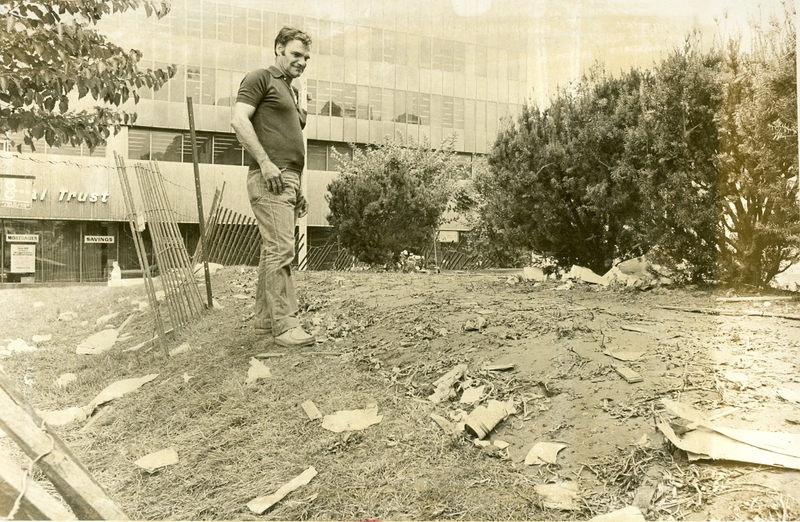 Aftermath – Said Tannourji, maintenance worker at Central Library, inspects the remains of a petunia bed wrecked by crowds. Hamilton Historical Collection. 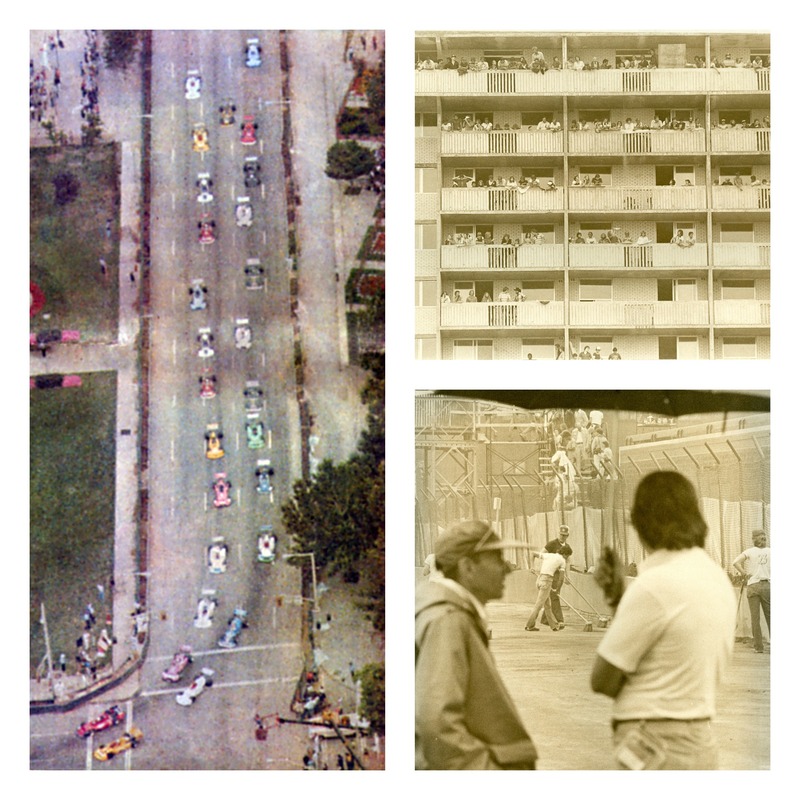  Archived in Flashback and tagged Daytona 500, Formula Atlantic, Hamilton Ontario, road race. Bookmark the permalink. Lesson learned> I always felt that Hamilton should try and host an event like this again.